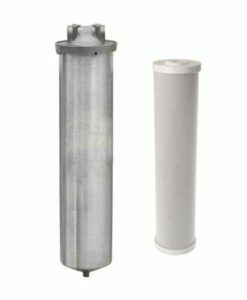 High performance water filter system for fountain beverage, drinking water, food service and combination applications. 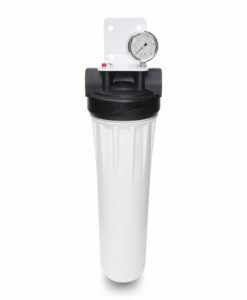 40,000 gallon filter life, 2.9 gallon per minute flow rate. 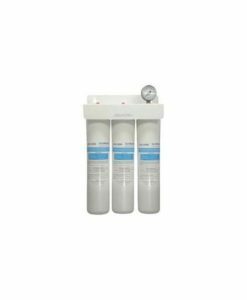 Reduces sediment, chlorine, chloramine, cysts, offensive tastes and odors, and more to ensure the purest water possible. 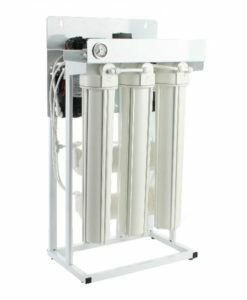 40,000 gallon capacity, high flow water filter system for fountain beverage, drinking water, food service and combination applications. 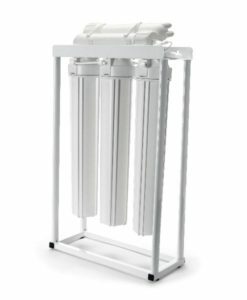 Improved performance compared to the MC2 (EV9612-56) or Everpure XC2 (EV9613-10) filtration systems. 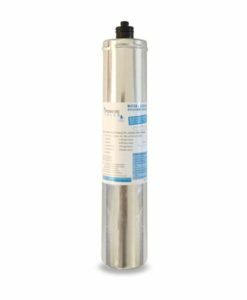 The Premiere PSE-XC2FS is a high performance water filter system for fountain beverage, drinking water, food service and combination applications. 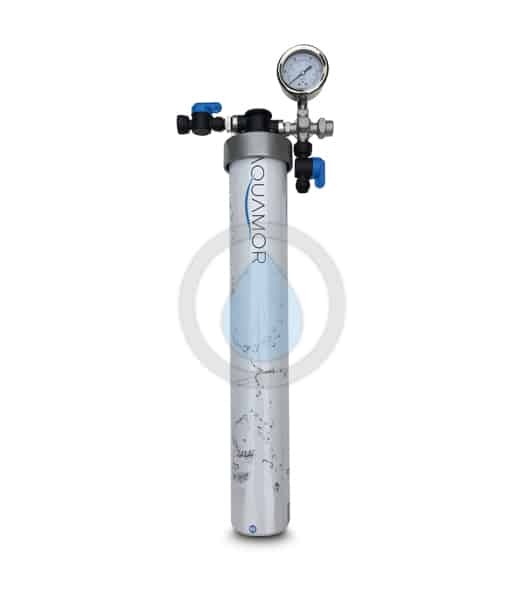 It is a better performing alternative to the Pentair Everpure MC2 or XC2 filtration systems. The PSE-XC2FS is a complete system that includes a water filter head with water pressure gauge (comparable to the QC71 Everpure), and a filter cartridge (PSE-MC2XL). 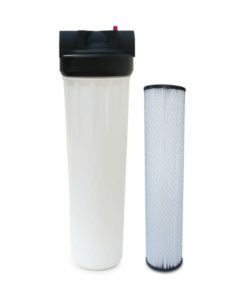 It filters particles as small as 0.5 submicron and provides tremendous capacity to ensure the cleanest and best tasting water possible. 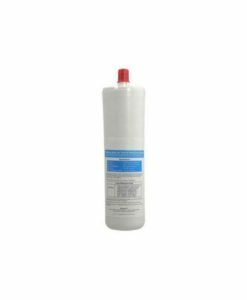 This compressed coconut shell carbon block water filter cartridge reduces sediment, chlorine, chloramine, cysts, offensive tastes and odors, and more. 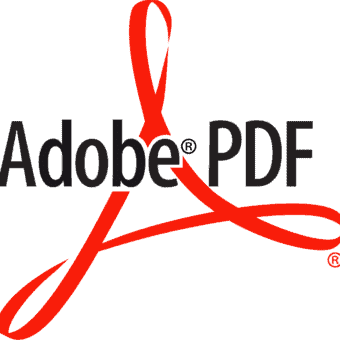 The cartridge does not remove minerals which are beneficial to health. The cartridge has a water filter life of 40,000 gallons whereas the original Everpure XC2 cartridge only has a 12,000 gallon capacity. 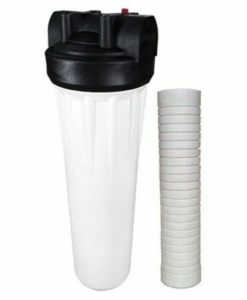 Complete water filtration system that includes a water filter head with gauge (PSE-HWG), water filter cartridge (PSE-MC2XL), and mounting bracket and screws. 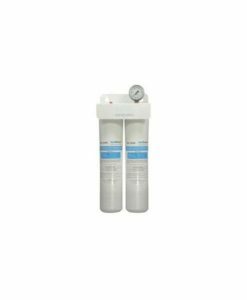 Need an Everpure replacement cartridge with scale inhibitor? Check out the PSE-I4000FS.